If you can't protect yourself, die and get out of the way of those who can. 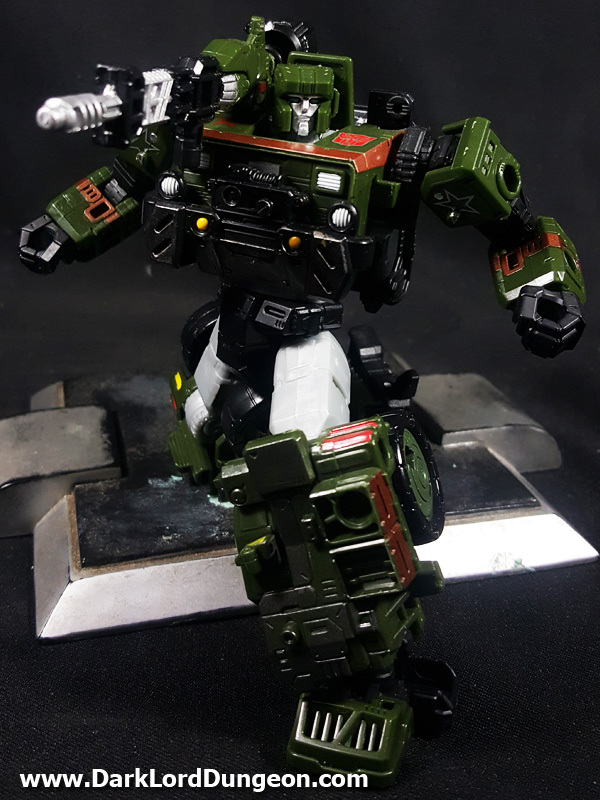 The Transformers Siege Hound is the Hound that we want, and the Hound that we deserve. In 2008 HasTak released what we then thought was the "perfect"version of Hound - and to be fair in some aspects that we will get into later, it is better than the Siege version - but that version can be classed as.... cartoony. The Siege version has this "War-Machine"appeal to it, and - even if we're not a fan of the "effects" that you can purchase with the rest of the Siege line. If we're right this is the first of the Transformers toys to precede the video game that it is based upon. We wonder if that's a software development deadline problem or if the developers were simply afraid that the third installment of the Transformers War for Cybertron trilogy would be a flop.